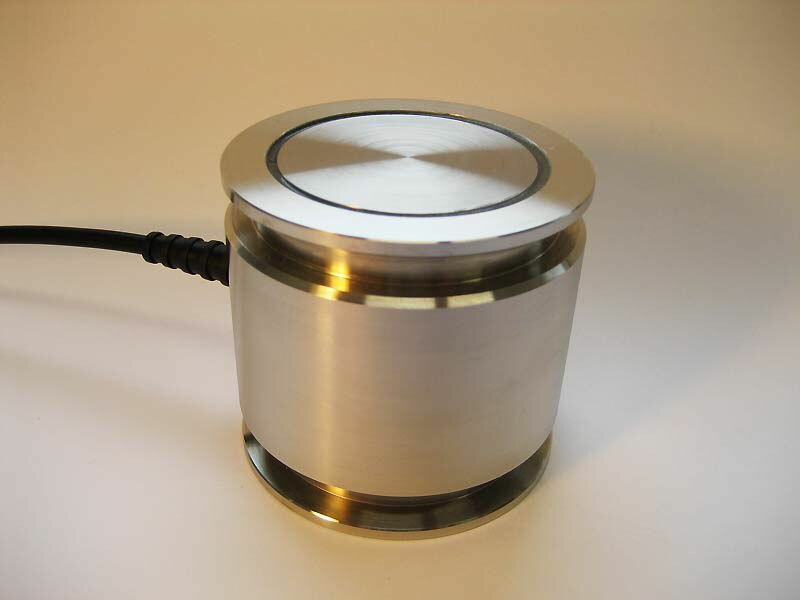 The enormously high sound power is attainable due to the special combination of the high performance Piezokeramik and the configuration of the titanium diaphragm, completely resistant to chemical influences. This ultrasonic transducer E/805/T is operable with continuous sound or with impulse sound. Flange with tubing beginning (DN 60) from high-grade steel, weldable. 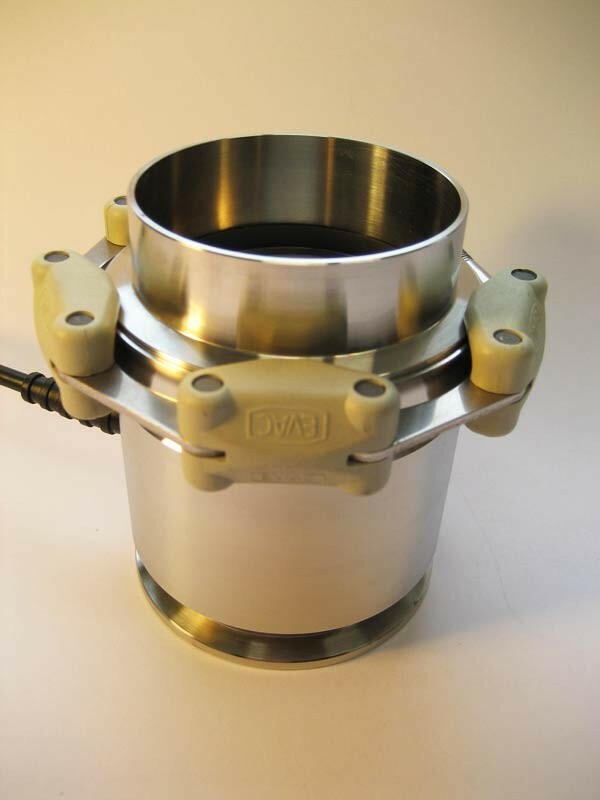 Chuck jaw, suitably DN 60 external centering ring with O-ring Viton compound. 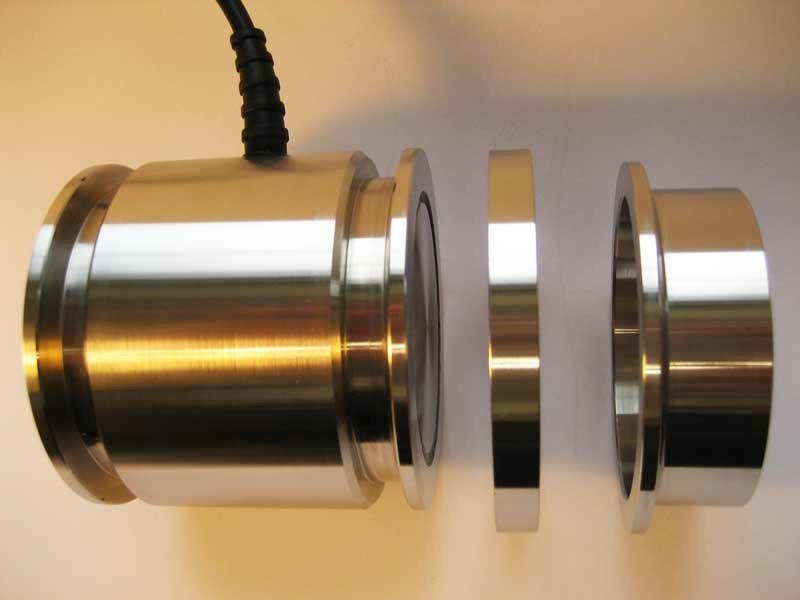 The Geometry of the high performance transducer E/805/T (material V4A/1.4571/Titan) with standard flange connection DN 60 makes it possible to “flange” this ultrasonic transducer to vessels, pipes, reactors and boilers or to use it as “Immersion transducer” (up to 20 bar). While utilizing impulse sound, it is possible to operate this apparatus very effectively, for example in case of its continuous operation when applied in industry. 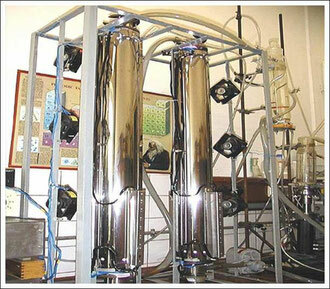 Furthermore, it can be used to research synthetic, destructive and constructive chemistry, for working with organic and inorganic compounds for physico-chemical and biochemical treatment or for the production of aerosols, emulsions, dispersions, hydrogenations and special purifications/cleanings. In this case the high energy density of the frequency of 850 kHz (bundled sound) on the radiation diaphragm made of titan is a great advantage. With reactions, those not may to impair the biosphere or with the influence of sonic frequency-dependent boundary surface transportation, the high frequency 850 kHz is importantly more effective than the ultrasonic frequency of 20, 40, 60 kHz. Apart from that, the high-power-ultrasound generator E/805/T can be employed for the dismantling of organic harmful substances and for the dismantling of polymeres. Impulse control and sound field overlaps can be applied in connection with our HF-generator K8 in case of phase-transfer-catalysis and when you want to destroy high molecular chains.